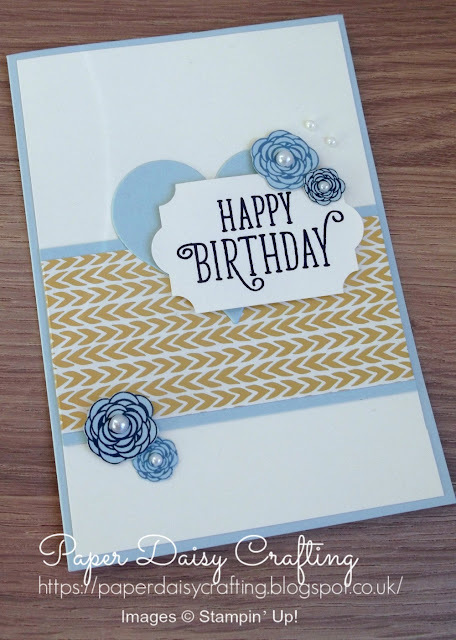 After Monday's post, I had a quick look through my archived photos and found another card made using the Happy Birthday Gorgeous set which I haven't yet shared. I cased this card completely from a post on Pinterest by a fellow demo - see her HERE. 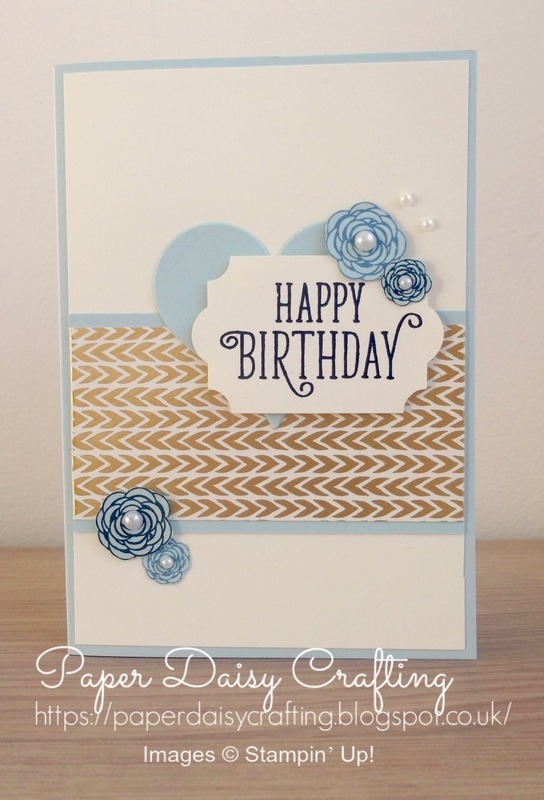 I love the colours in this pretty little card - blue, cream and gold. Don't you just love that "Happy Birthday"? Such a lovely font! Again did a bit of fussy cutting of the flowers from the Happy Birthday Gorgeous set. Don't forget that at the moment you could purchase this set for £19. spend another £26 and the get a free set from the Sale-a=bration leaflet. 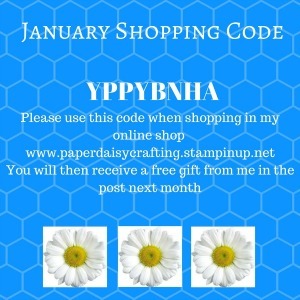 PLUS if you use my shopping code you'll get another free gift from me in the post next month. Really too good to miss out!